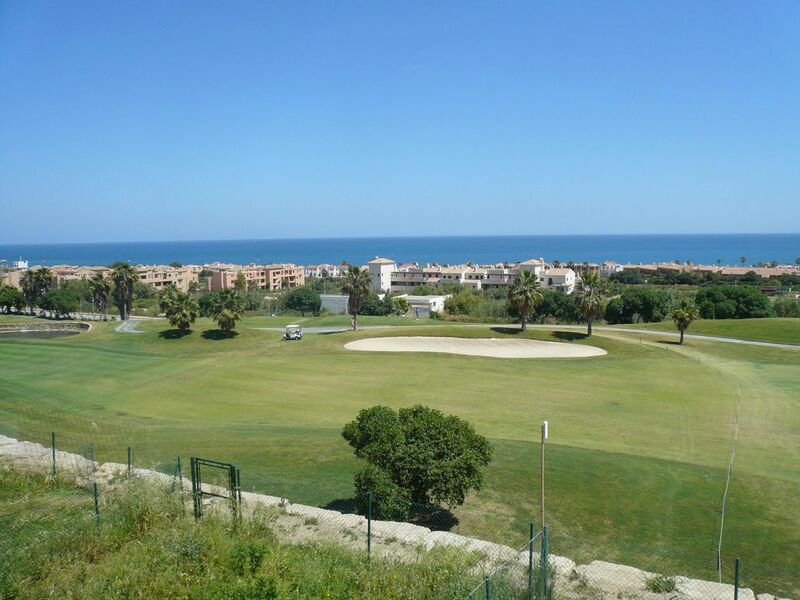 Very nice apartment, 2 bedrooms, 2 bathrooms, terrace of 40 m2 with sea and golf views, located on the complex of Golf Dona Julia. Closed urbanization with pool and beautiful gardens. It is a peaceful place yet a few minutes walk from the beach, close to the beautiful town of Estepona where you will find a wide variety of shops, bars, restaurants, as well as a market every Sunday that takes place on the marina. 20 minutes from Marbella and Puerto Banus. near the port of Duquesa where you will find many bars and restaurants. The apartment is 2 minutes walk from the Dona Julia Golf Club House, with bar and restaurant. Apartment was excellent, very well maintained. Everything you need and good position. Riccardo, our contact in Spain, was brilliant and was there within 15 minutes when the freezer broke down. Only one slight criticism is that there was no information booklet giving details of how things work, where the nearest doctors, pharmacy, shops, restaurants etc are. All in all though a brilliant experience ! Apartamento muy bien equipado, cómodo y tranquilo. Todo perfecto. located near Estepona where you will find all kinds of restaurants and bars with beautiful terraces on small squares of this pretty very flowered city, by the sea.